Let me start by saying, these recommendations are not given by a healthcare professional. Instead, it's written by a patient who had hip surgery and her suggested ideas on how to prepare. Weeks before the hospital stay, due to her single and alone status, she prepared diligently to make sure her home was properly equipped for a speedy recovery and made sure she could handle all her tasks of daily living. Total Hip Replacement Forum - Look for the one that's headed up by a professional physical therapist. This particular group admin and therapist had both hips replaced. She is an outstanding resource. Next week's column discusses post-surgery planning for food, assistive devices, delivery services, and more. If you haven't yet, please opt-in to my upcoming Newsletter called Age with Purpose. It will roll out shortly and arrive via email each week. Send an email to Carol@seniorcare.com and in the subject line put Newsletter. 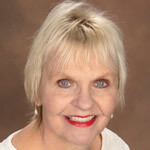 Thank you.Carol Marak, aging advocate and editor at Seniorcare.com. She's earned a Certificate in the Fundamentals of Gerontology from UC Davis, School of Gerontology.